Bug fix to address a known issue with authentication on e-SIM capable devices. Update #2: It would be really nice to have Verizon address directly the question of why so many calls are labeled robocall, potential spam call, etc. but they still ring through? This has been asked in numerous reviews and Verizon still has never given an answer that I’ve seen other than some generic nonsense. Update: After using this for several months, I’ve probably only seen maybe two calls blocked. Since virtually all spam calls nowadays appear to be spoofed, I don’t think reporting a number really does anything. Sometimes the scammers even seem to be spoofing legitimate numbers. 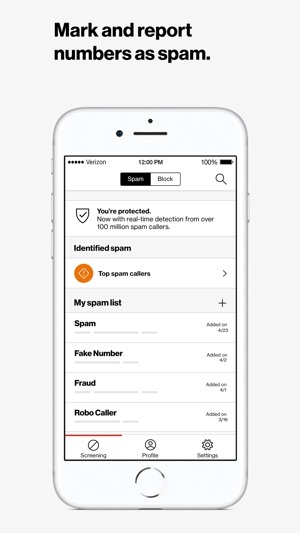 Until Verizon has a way to deal with spoofed numbers, I don’t really see a way to effectively block spam calls. I’m not sure this app does anything. I can’t say I’ve seen anything blocked. 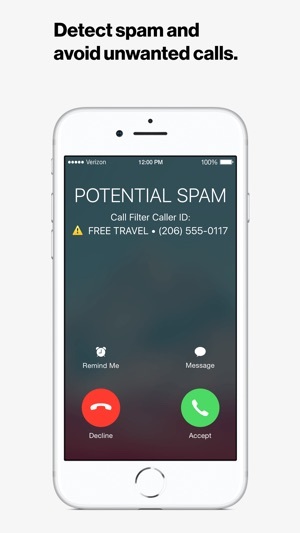 It has identified some calls as “potential spam.” However, even though I have the app set to block all spam, including potential spam, these calls still merrily come through and are not sent to VM. Verizon has such a good network. It’s kind of embarrassing they don’t have a more effective call blocker app. I won’t even talk about Verizon charging $3 per month for this app. 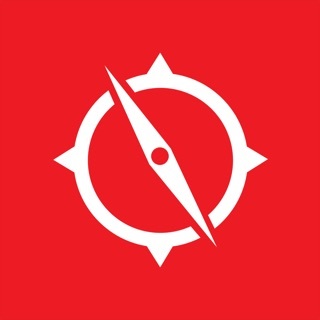 I’m now using the free version, after the premium free trial expired. Overall, I’m stoked to have this. I was getting inundated with spam calls and this app/service takes the edge off. 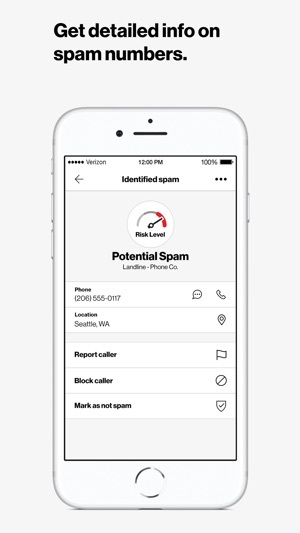 That said, I think Verizon is making a big mistake by limiting the free version to not allow reporting of spam callers. Think about this for a second... 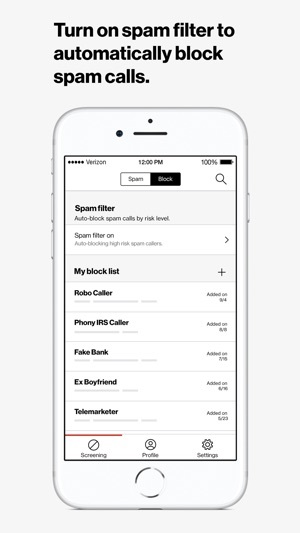 The app blocks maybe 30% of spam calls. What if I had the ability to report the ones that got through and others could do the same? That would make it better for everyone, right? Well, that functionality is only available in the paid version... so we have to pay so we can do work to make it better for others. Verizon is missing out on the network effect of its users (come on guys, this is basic strategy stuff). We will work for free if you let us. Take a look at Waze, for example. Verizon has the opportunity to solve this major problem for its customers, and the customers are willing to help... if you’ll let us. Frustrating setup, but works great! It took me over a week to fully set up this app so that it integrates with my iPhone. I’m not sure why I didn’t give up. But I’m glad I didn’t; one set up properly, this app works great. I was already paying for the advanced collar ID service, but all that did was improve the information that was Displayed with each car. 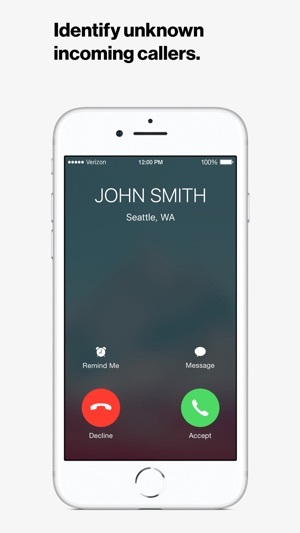 This app actually stops the calls sending them to voicemail instead of annoying me all day long. It’s not perfect; but it is a significant improvement over life without it. If you do purchase this app, take the time to read the instructions, the Q&A and the tutorial. Be sure to note the statement that it takes up to a minute for the feature to be added to the Apple Phone app. For me it actually took many tries over several days before the feature actually showed up in the settings for the Phone app and I was able to enable the call suppression feature.